Why Choose OLC for Your Child and Your Family? Effective, evidence-based teaching and learning approaches that includes a balanced and child-centred focus. Specialist teachers and learning areas that include Performing Arts, Music, Sport, Digital Technology and Indonesian. Differentiated and personalised learning programs that include support and extension programs with specialised teachers. A warm and inclusive faith community that fosters a sense of belonging through many hearts working together as one voice. 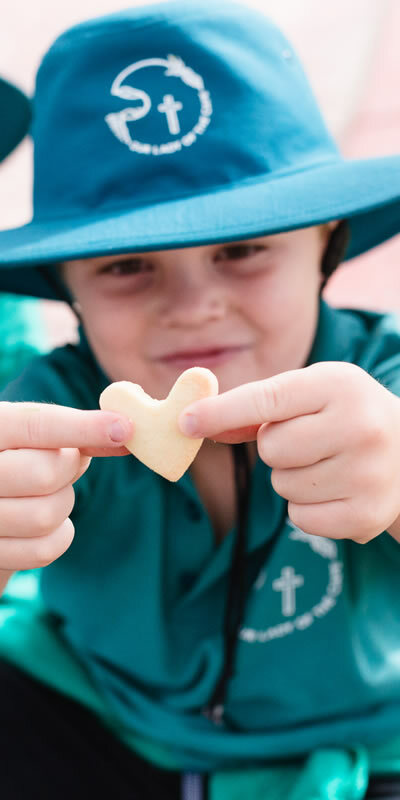 A values-centred approach towards positive psychology and student well-being that includes, friendship and social-emotional programs from Kindergarten to Year 6. Engaging, flexible and contemporary learning and play spaces that allow for collaboration, creativity and independence. School tours available at any time. Contact 9781 3200 for enquiries or to book a tour.